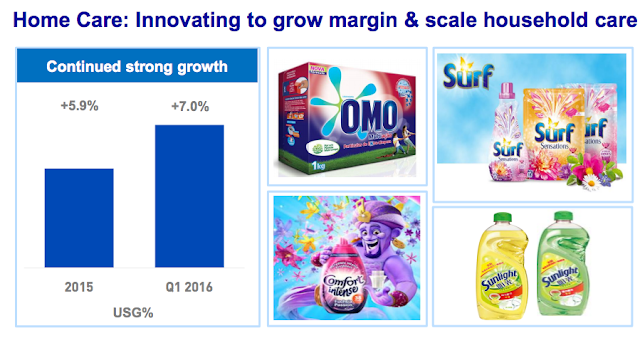 Unilever released its Q1 earnings on 4/14/16. As part of my process of learning more about the market, I plan to read up on quarterly earnings and dividend increases. As most of my holdings are for the long term, I understand that the daily fluctuations are not that important. 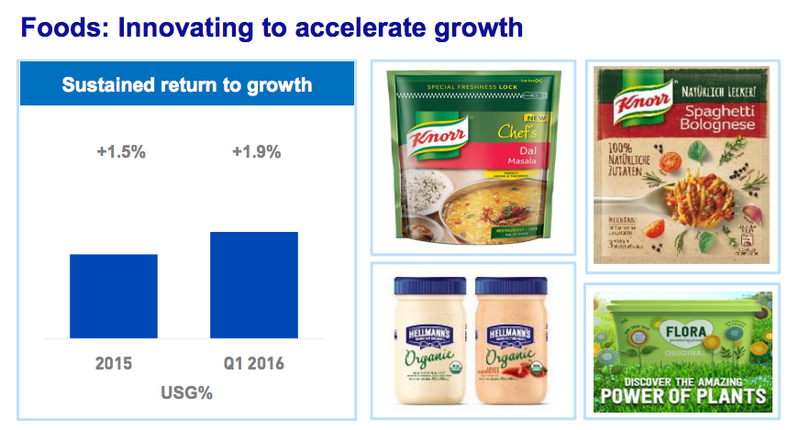 However, I do see a benefit in reading the quarterly releases that companies report. I currently only own about 3 shares of UL (invested amount of $150 through Loyal3). Yet, its somewhat fun to quickly go through a earnings release. 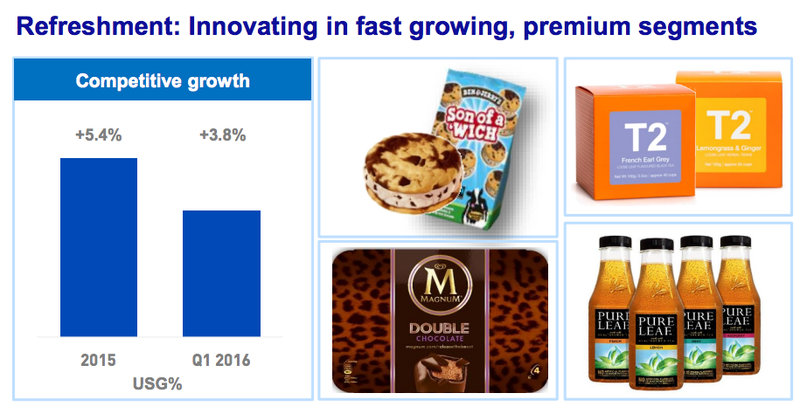 Moreover, the announced a dividend increase. Although it is a very small increase from .302 to .3201, it represents an increase of 5.99%. As of today 4/16/2016 its dividend yield stands at 3.54%. See link for Q1 highlights released by UL. All of the below is from the UL Investor Relations site. 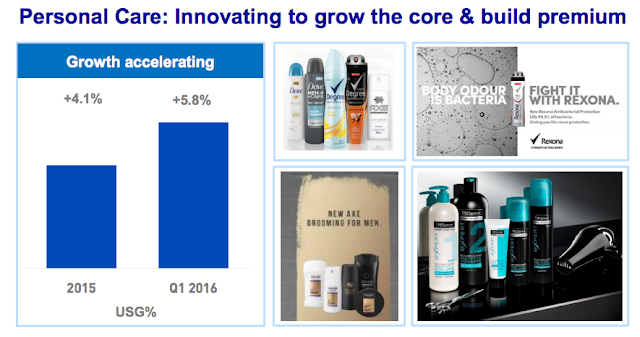 See below for a 1 year graph of Unilever. Its 1 year return stands at 8.7% without including dividends. It is currently near its 52 week high, but I will continue to buy at my monthly intervals. With the variety of products they own and their reach around the world, I hope to make this one of my larger holdings as time goes on. 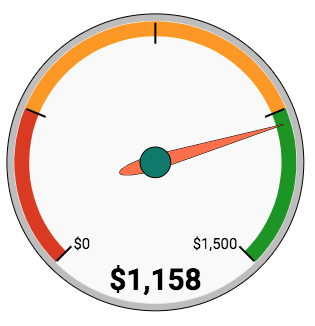 It will take a long time since my investments are only $50 a month, but it certainly will be worth it. If I ever see a large enough pullback I would be tempted to make a larger order. The fact that I am thinking like this means I am moving in the right direction. My former self would have went for a high flying stock and probably sold it on a pullback rather than buying more. Let's see if I can put that plan into action though. Attached below are dates related to UL's next few dividend payments. I look forward to earnings releases next week from PEP, BX, and SBUX. What are some strong dividend paying foreign stocks you are invested in such as UL? Click here to view my portfolio holdings. 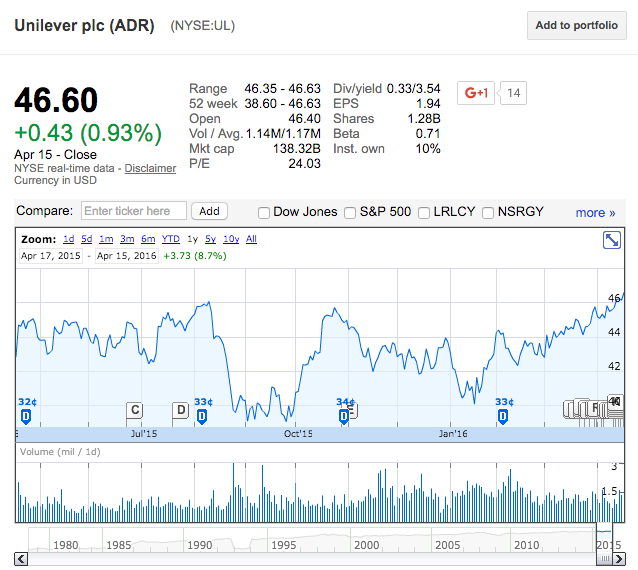 I regret not buying Unilever on the last market dip. It's a great stock with tons of brand names that my family buys; so I assume many others do too. This latest dividend increase is just salt in the wound for me. I'll buy some soon, just waiting for a better entry price. Agreed, great company with very recognizable brands. It's definetly fun and exciting investing in brands that everyone you know buys from (even though they might not know it).